Fevers are usually a sign of a medical condition such as an infection or an inflammation. Mild fevers can also be due to changes in temperature, hormonal changes, or stress. And no matter what causes a fever, it can be very uncomfortable to have one. 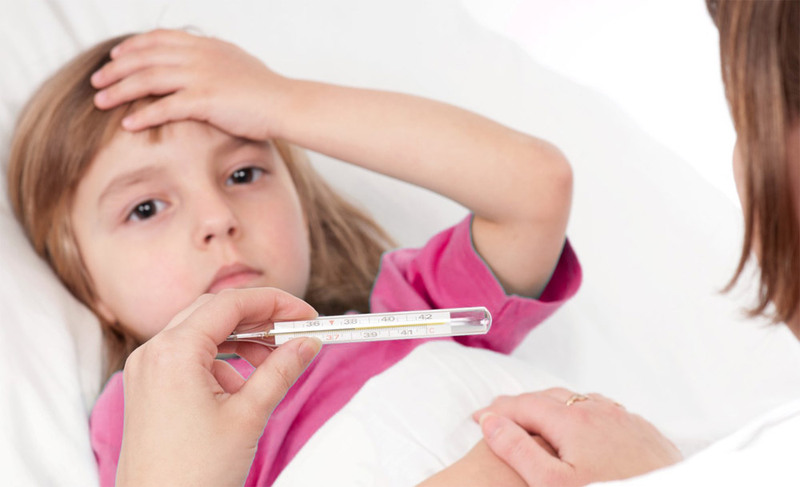 Fever can also be accompanied by chills, sweating, body pains and colds. The usual way that we deal with fever is to take a fever medication. However relying on medications could lead to severe side effects such as gastrointestinal symptoms. So dealing with fever using natural means is very important. One way to reduce fever is to dress in minimal clothing. We often wrap babies and adults with fever in blankets, but this only prevents heat from dissipating. Allow the person to wear thin clothing and avoid covering up with thick blankets. Use a water compress to reduce fever. Wet a face towel with water and place it over the nape of your neck to reduce fever instantly. Get another towel, wet it with water, and gently apply it over some large areas of skin like, the upper arms, thighs, abdomen, back and neck. You can also dab the wet towel over your skin using tapping motions. Do not wipe the towel over the skin because this will only increase your body temperature. Another effective way to get rid of fever is to drink more water or fluids. Hydrating the body from the inside is an easy way to help reduce a temperature. Drink at least 8 or more glasses of water. You can also drink fruit juices, soups and eat fruits and vegetables with high water content. If possible, drink a glass of water every one to two hours until your fever subsides. Fevers can also be reduced by putting ice in a bag and placing it over your forehead. Note, do not use this method if you have chills. eating cold food such as ice cream and gelatin. If these techniques to get rid of fever do not help and still fever persists, you should consult your doctor at once. Your fever could be due to an underlying medical condition or illness and unless it is treated, fever will persist.